What’s hot on menus for 2019? Spring cleaning and making sure the things people own ‘spark joy’ has been all the rage this year – but what about making sure the menu still sparks joy, too? That’s the name of the game for restaurants, who are focusing now on offering new and exciting dishes and flavors. For operators who aren’t 100% sure what they should put on this year’s menus, looking at current trends can be a big help. Elderflower is up 24% on restaurant menus year-over-year, while lavender is up 12% and rose is up 9%, according to Technomic’s MenuMonitor. These flavors may be primarily used in cocktails and other drinks—for instance, popular pan-Asian chain P.F. Chang’s offers the Sparkling Blossom cocktail, which features Grey Goose Vodka, St. Germain elderflower liqueur, fresh lemon juice and prosecco. But florals aren’t just for the drink menu—some hot sauce makers have blended lavender into their spicy habanero concoctions to offer something new to heat-seekers. Try blending floral flavors (or edible flowers) into dishes that are vegetal in nature so that the delicate flavors aren’t overpowered. Speaking of cocktails—vermouth has grown 31% on menus year-over-year, burgundy wine is up 20%, port has grown 26%, and cognac is up 17%. But it’s safe to assume these ingredients aren’t all on the drink menu. For instance, vermouth could be used in a seafood dish to deglaze a pan, burgundy wine is perfect for coq au vin, port is great with pork dishes, and cognac can be added to smoky-flavored dishes such as smoked meats. Bourbon barbecue sauce, like Smokehouse 220’s version, have been popular on menus for years, so it stands to reason that alcohol additions can elevate a dish’s flavor, no matter what the dish. Slather honey bourbon barbecue sauce on dishes like ribs or pulled chicken, or use the sauce in recipes for sides like brisket mac and cheese and barbecue baked beans. Or, create a craveable entrée salad by pairing bourbon-barbecue chicken with creamy ranch dressing, then top with veggies like red onions, corn and black beans. Ponzu sauce is up by 20% year-over-year, while yuzu is up 15% and lemon and raspberry sauces are each up 14%, according to MenuMonitor. Whether used as a sauce or diced into the recipe as its own ingredient, fruits are great in an array of dishes from appetizers to entrees, drinks to dessert. 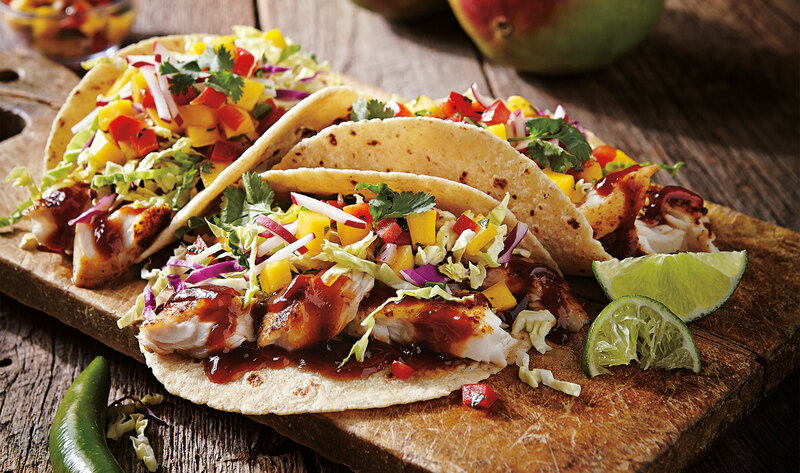 For instance, restaurants can menu Chipotle BBQ fish tacos with mango salsa or use maple peach honey bourbon barbecue sauce on pork dishes. The latter, a speed scratch savior, is perfect for busy kitchen staff since it can be made ahead of time and served as a housemade option. Operators can also use fresh and fruity salad dressings in the back-of-the-house, too. 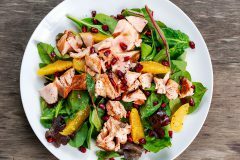 Options like Mango Chardonnay Vinaigrette, Lemon Herb Vinaigrette, Blueberry Pomegranate Vinaigrette and Raspberry Vinaigrette all add a sweetness to salads and other dishes like fish dishes or steaks. 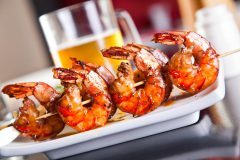 At restaurants, it’s pretty standard fare to see options like chicken, steak, burgers and fish on the menu, but items that are popping up more and more this year include shrimp cocktail (+27%), sea bass (+22%), andouille sausage (+16%), wagyu beef (+15%) and veal (+15%). Other proteins hitting menus include trout and king crab. In other words, operators are experimenting with more varied proteins this year, which is perfect for trying out trending flavors and new preparation methods. For instance, roasted shrimp cocktail (served chilled) or wagyu beef brisket served with smoky barbecue sauce are easy ways to serve luxurious proteins in an updated way. 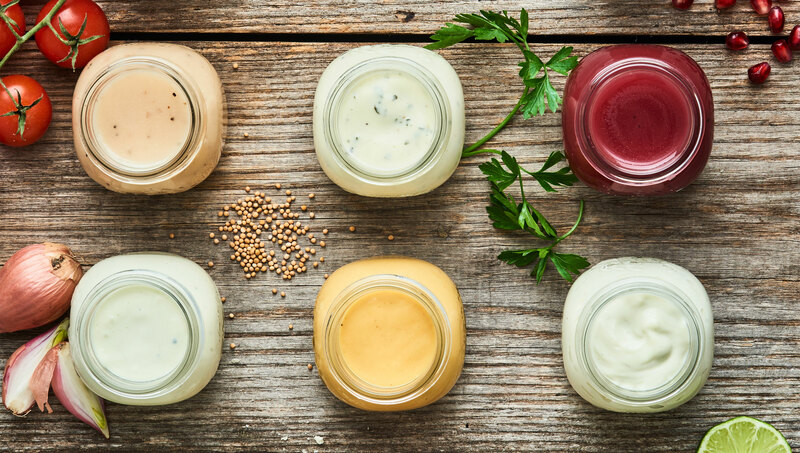 While new proteins aren’t necessarily a flavor trend, they provide a blank canvas for sauce and condiment pairings and can be the twist diners are looking for. 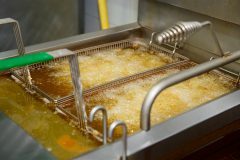 Consider menuing proteins with unique dipping sauces, too, or using new flavors for condiments on sandwiches. For instance, offer andouille sausage bites with Avocado Poblano Dressing as a dip, or offer Asiago Peppercorn Dressing & Dip as a condiment for grilled shrimp cocktail (either alongside or in place of cocktail sauce). In 2018, diners saw many regional global cuisines proliferate on menus, and in 2019, they can expect to see even more of these options. This year, specialties from Lebanon, Syria and Turkey are expected to rise in popularity, including ingredients like pomegranate molasses, toum (a garlicky condiment), labneh and tahini. For barbecue operators, adding pomegranate molasses into prepared barbecue sauce is a great way to introduce fusion dishes influenced by these cuisines. 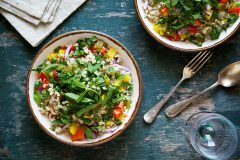 Impart Middle Eastern and Mediterranean flavor into a number of dishes with Marie’s Mediterranean Vinaigrette. With balsamic vinegar, extra virgin olive oil, garlic and spices including rosemary, thyme and oregano, this dressing is perfect for adding flavor via marinating meats, as a glaze for roasted veggies and more. Asian influences are still going strong as well. Expect to see more Korean options as well as other regional Asian cuisines like Filipino dishes on menus. 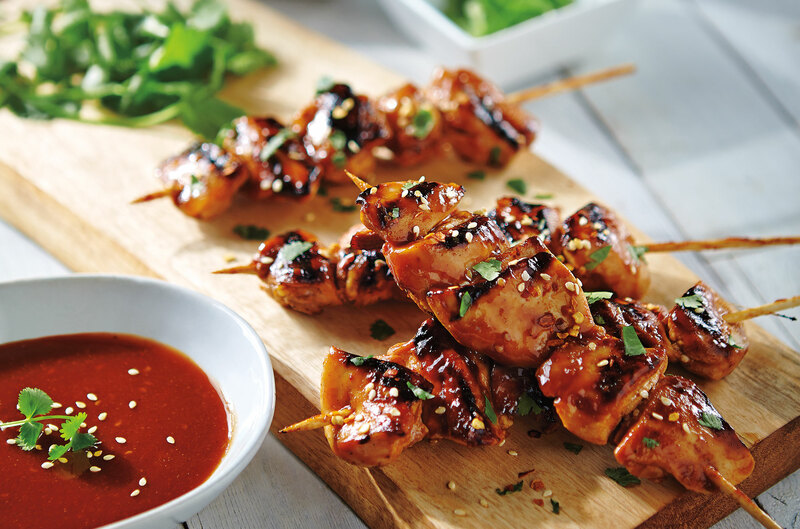 Offer an appetizer of Korean BBQ Chicken Skewers to appeal to adventurous diners. This dish features Smokehouse 220 Original Barbecue Sauce, Hidden Valley Asian Sesame Dressing, sesame seeds, cilantro, green onion and more for a unique, bold and flavorful dish. For restaurant operators looking to offer something fresh and exciting to diners, looking at trend information is crucial. 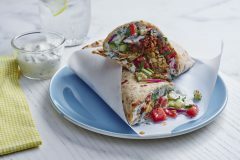 By using unique ingredients like floral flavors, infusing menu items with alcohol flavors like bourbon and cognac, brightening foods up with fruit flavors, expanding the protein options on the menu, and including ethnic influences, diners will have something new to choose from every time they dine out. From starters and small plates to sweets and sips, there’s a lot of opportunity to innovate with these five 2019 flavor trends.